I saw two of my favorite films of the year at TIFF. I was very particular about the movies that I saw during the film festival because I didn't want to have to walk out of anything that sucked. 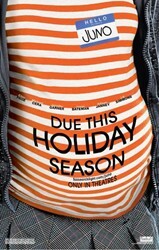 At festivals there are always people who worked on the movie at the screenings. After seeing INTO THE WILD, I was annoyed that I had gone to an industry screening instead of a public one because the film was something that shallow self-centered people would hate. Oh, I didn't mean to diss all film industry people--but there were some people there who were much more interested in their BlackBerries than in the movie. The movie is longish, but that didn't bother me. Emile Hirsh and Sean Penn should definitely get nominated for Academy Awards. This movie really moved me. I hate crying in public and I totally freaked out my British buddy that I had just talked to for a half an hour before the movie--we had been in line together and I found out that he was the research assistant on the movie Control about Joy Division. Anyway, he totally bolted after the film and didn't even say bye. I literally went to the bathroom and cried for like 10 minutes after the film ended. Later I met DK at the Four Seasons and cried then to and he was like WTF? people are going to think that we're breaking up or something. Since I never cry, DK had no idea how to handle the situation. 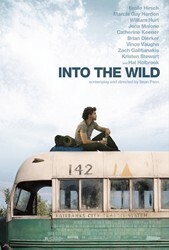 If INTO THE WILD is playing in your city this weeked, it's a must see. what's-his-name who played a therapist on Law and Order SVU--I think. Ellen Paige is Canadian and is now 19 even though she was 26 when HARD CANDY came out. DK and I had made bets on her age after seeing HARD CANDY. Once you have good representation, i guess that IMDB will change your age. So, I had the good luck of running into Alison Janney and Ellen Paige at the Four Seasons and loved the movie so much that I had to say something to them. I had my TIFF badge on, so I hoped that I wouldn't appear too fanatic. I really never say anything to actors. Alison Janney was cool. I made a fool out of myself 'cause I sort of got her confused with Christine Lahti--don't ask me how. I knew who she was, but I thought that she lived in Santa Monica when she lives in the Valley and Christine Lahti lives in SM. She was like are you sure that you know who I am..and I was like, yes!!! Whatever, she was getting over some passport drama and was probably on Xanax, so she won't remember the conversation. Ellen Paige didn't say a word to me...I guess she's shy. No one probably ever recognizes her and I'm sure she liked it that way.